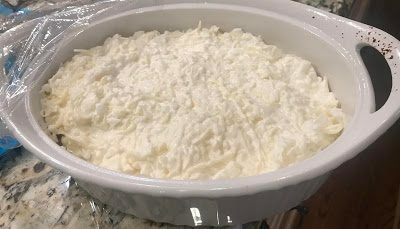 This dip has been around for years, but it’s always a big hit! 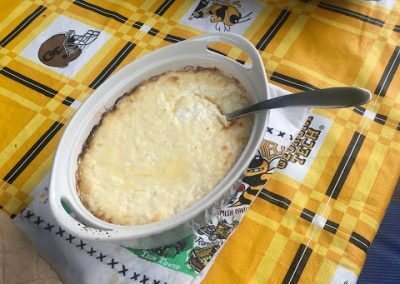 One of our tailgate guests grew up in Vidalia, so I’m serving up this dip for this game while thinking of Ben! 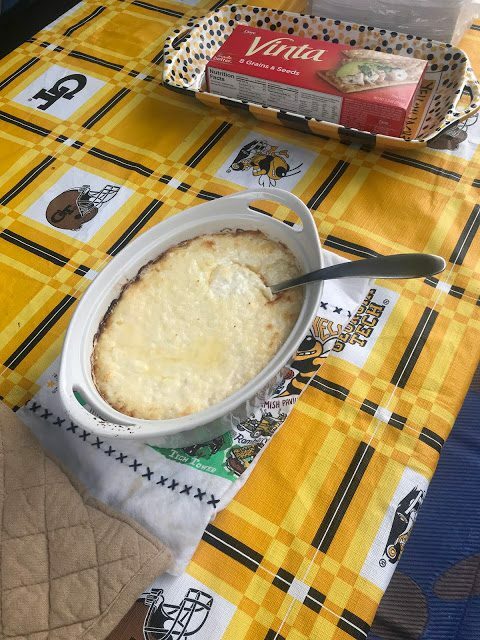 And I will definitely double the recipe for the group that’s tailgating. 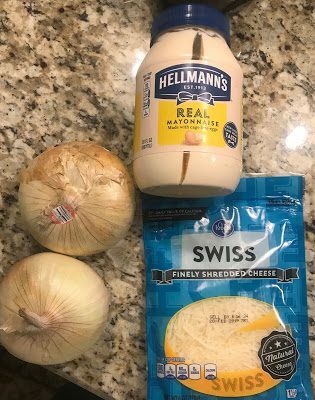 Preheat oven to 350 degrees F. Mix together onion, cheese, and mayonnaise. 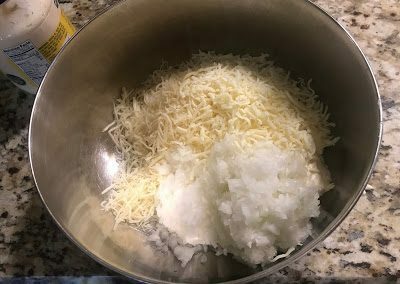 Spread evenly into a baking dish or pie plate. 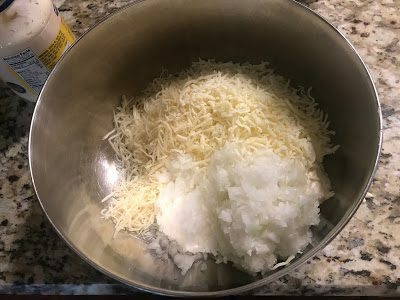 Bake 30-40 minutes, or until bubbly and slightly browned around the edges. Serve with your favorite crackers.